We ship FAST... FREE SHIPPING on orders over $29. A unique formula of ALL NATURAL & ORGANIC ingredients that are safe for the whole FAM! 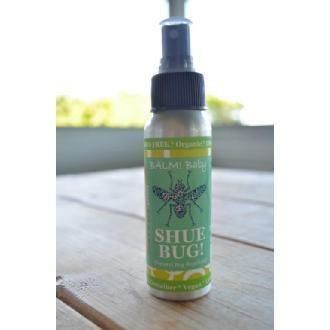 Here in Hawaii with a TROPICAL climate ALL YEAR ROUND, bugs are everywhere & this formula has been put to the test! It is A MUST HAVE! Works like no other! I said SHUE BUG don't bother me! • Easy Spray Keeps biting bugs away! • Convienent 2.7oz. Travel Spray! • Main ingredients come from a local Big Island Organic Farm! • Comes in Recycled Aluminum! © 2011-2019 Kushie Tushies. Boutique website by My Quick Boutique.